While the role of apoptosis in neuronal injury is continually being re-defined, approaches to intervene in the progression of apoptotic injury have been documented to provide neuroprotection against a variety of insults. The present studies were undertaken to systematically study the effects of certain neuroprotective agents against neuronal apoptosis mediated by staurosporine (ST). ST (0.01–5 μM) produced a dose-related apoptotic injury (as characterized by cellular morphology, ‘Comet’ assay analysis [single cell gel electrophoresis] and caspase-3 activation) in primary cultures of forebrain neurons. ST significantly increased caspase-3 activity. The NMDA receptor subtype non-selective antagonist dizocilpine [(+) MK-801; 0.1–50 μM) and a novel sodium channel blocker RS100642 (1.0–250 μM) had no significant effects against ST-induced neurotoxicity. 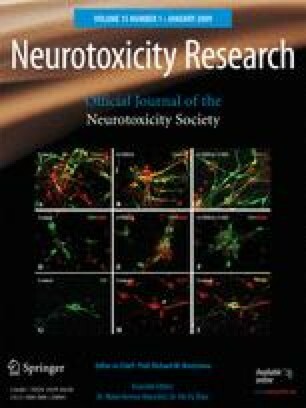 Conversely, NR2B-selective NMDA receptor antagonists CGX-1007 (0.01–50 μM) and ifenprodil (0.01–50 μM) provided dose-dependent neuroprotection against ST-induced neurotoxicity (as measured by neuronal viability and comet assay analysis). CGX-1007 had no significant effect on ST-induced caspase-3 activity; however, ifenprodil did block activation of caspase-3. These studies demonstrate that NR2B NMDA receptor antagonists are anti-apoptotic and may mediate their action via mechanism(s) that are dependent or independent of caspase-3 activation.